The Bible is the divinely-inspired Word of God, the repository of His plan of salvation and the record of His participation in history. The Bible is God's revelation of knowledge that man cannot discover for himself. It is the foundation of knowledge and the guidebook to life. The Old and New Testament comprise God's written Word which forms the basis of Christianity as taught by the Church and as practiced by the individual Christian. The Bible is God's written revelation to mankind. It contains God's instructions to man and the record of God's interaction with mankind. The Bible provides the answers to mankind's fundamental questions of life. It is the revelation of an omniscient, omnipotent and loving God; it reveals who God is, and what His plan and purpose for human beings is. The Bible exists to provide man with essential knowledge which he could not learn apart from divine revelation. Thus, the Bible includes the fundamental principles of how man should live, how he should govern his own life to generate success and happiness, and how to work with his fellow man to achieve peace and harmony. But at its foundational core, the Bible provides the indispensable knowledge of how man may gain salvation and eternal life, knowledge which he is incapable of discovering for himself (I Cor. 2:7-11). As the repository of this vital information, the Bible is God's basic handbook for mankind. The Church of God believes the Bible to be divinely inspired (II Tim. 3:16), the revelation of the missing dimension in man's knowledge, by the Supreme Authority of the universe. The Church regards the Holy Bible as the receptacle of God's essential theological knowledge, basic, accurate, and complete in its original form. Of course, there are no original manuscripts extant today. Few are from close to the time of authorship and even age does not always assure accuracy and fidelity. Whatever shortcomings therefore may be present in contemporary biblical manuscriptsbecause human instruments were writers and copyist, because some translators lacked knowledge of the original languages, or because of the complexities and vagaries implicit in the transmission of the various textsall together have not substantially concealed the intent nor overshadowed the direct inspiration of the basic biblical message as we have it today. What part did God allow human fallibility to play in the transmission of the many original biblical texts? This is a real question considering the fact, for example, that there are three Hebrew versions for parts of the Old Testament, all of which are pre-Christian in origin and which New Testament writers used and quoted as recent research has shown. Furthermore, the analysis of large numbers of ancient New Testament texts with their numerous textual variations have not yielded obvious or conclusive results for many scriptures, though the most meticulous and highly sophisticated techniques have been employed. Will new discoveries, investigation and scholarship generate yet new questions or uncertainties about certain passages? It doesn't matter, because the Bible's primary objectives have never been, and can never be, perverted or corrupted. The sum total of all textual variations do not alter the essential communicative function of the Bible. Its fundamental intent is fully maintained: all the basic doctrines of God's Church, to a greater or lesser degree, are discernible from any textual version or translation of the Bible. The Church accepts the books of the Old Testament as found in the canon of the Hebrew Bible and the books of the New Testament as found in the canon of the Greek New Testament. These have been sometimes called the "Protestant canon." This same context has been accepted for most of Christianity for 1500 years (The apocryphal books are thus rejected as noncanonical.) The Church has accepted this canon largely on the basis of internal biblical evidence (such as Luke 24:44, etc. ), informed faith and tradition (Jesus' reference to "the law of Moses and the prophets and the psalms" [or writings] gives credence to ordering the Old Testament to end with 2 Chronicles [as in the "Jewish Bible"] instead of Malachi [as in the "Christian Bible"]). Essential to the teaching of the Church is the fact that the Bible can be proved to be the written Word of God. The foremost proof that God's Word is precisely what it claims to be is that it works in one's life. The proof of obedience is the Bible's best stamp of divine authorship. Adherence to its principles, laws and concepts bring about success and happiness in one's own life, which is ultimately the most critical ratification of its divine inspiration. Only one who sincerely seeks to apply the biblical way to his own life will eventually learn that the practical instructions, timeless wisdom, spiritual depth and living laws come from a Supreme Being, and not merely from fallible, mortal men. Once a person has accepted the concept of the Bible containing the inspired word of God, he is able, by appreciating the intricate yet harmonious interaction of all parts of the Bible, to conclude in faith that the whole Bible, all scripture, is precisely what it claims to be"inspired by God and profitable for teaching, for reproof, for correction, and for training in righteousness" (II Tim. 3:16). The Christian will also conclude that even those parts of the Bible which are by their very nature, unable to be "proven" in a mathematical or scientific sense (e.g., as yet unfulfilled prophecies or historical points which are unable to be substantiated by secular references) are indeed part of the Bible, form part of the vehicle of its message, and are accurate in their proper context. In this logical "jump"this leap across undocumented gapsone cannot discount the importance of faith. The Church, of course, acknowledges that the Bible does not claim to be a textbook of comprehensive world history, science and technology, medicine or any other non-theological discipline. Nonetheless, the Bible is the Word of God, and as such, is the foundation of all knowledge, as well as being the storehouse of salvation. Fulfilled prophecy is likewise an important aspect of God's Holy Word. Only God can predict and bring to pass events of the future (Isa. 41:21-24). Only the Creator God could predict the name and actions of Cyrus long before his birth (Is. 44-45). Only He could tell the intricate and accurate events outlined in Daniel 11 or foretell in detail about the coming of His Son as Savior of the world. While faith plays a role in assessing the significance of already fulfilled prophecy in proving the Bible, there can be absolutely no doubt regarding as yet unfulfilled prophecy. When the complex sequence of events culminating in the triumphant return of Jesus Christ to earth occurs, there will be no question whatsoever that the God who foretold it all in biblical prophecy far ahead of time is the same being who inspired the entirety of the Bible. The Bible alone claims absolute preeminence over all other books esteemed by mankind and challenges all mankind by its claims of purity (Ps. 12:6; Prov. 30:5), scope and completeness (Rev. 22:18-19). The challenges of the God of the Bible (Is. 41:21-23) are powerful and direct. Its prophecies for the future return of Jesus Christ and the establishment of the world-ruling Kingdom of God are straightforward and unmistakable. In addition to being the written record of the essential theological knowledge for mankind, the Bible is also great literature, with many literary forms and devicespoetry, prose, allegory, epic, parable, history, even humor. It is often open and frank, and yet at other times it is discreet and obscure. The Bible exposes the weaknesses of its heroes, but calls them the friends of God. It shows the glory and power of the Creator through His many miracles but it shows Him to be intimately concerned with the smallest details of human lives. It holds out the answers to the riddles of life, yet hides enough of God's nature and the universe to tantalize us and draw us further along in a profound growth process. We see through the pages of the Bible the lessons of human experience. We read of men and women like us, those who share problems common to allwith the same pulls and passions, hopes and dreams, fears and frustrations. The Bible not only shows the common heritage of human nature, but enables us to understand the process whereby we may overcome the destructive elements within us and attain our God-given potential. The Bible is many books yet one, a superlative example of e pluribus unum ("one composed of many"). This remarkable unity of design is one of the unique characteristics of the Bible. Another is its internal consistency in its diversity, combining to form a coherent composite. The mark of one author, for those who have eyes to see, is startlingly apparent. The authors of the various biblical books came from differing backgrounds, lived in disparate environments and were diverse in their personalities, education and professions. They wrote in different styles, from different standpoints, to different audiences and at different times. Yet the continuing themes God inspired are the same. God used all their various and contrasting perspectives to shape and to emphasize the same basic truth. From Genesis to Revelation we read of the same God, the same massive plan being unfolded and developed, with each book augmenting, supporting and complementing that which has gone before. This unitary focus is due to the God who initiated, organized and inspired the entire Holy Scriptures. Although many different men played their part as they were moved by His Spirit (II Pet. 1:20), the Bible is in reality God's Word and not man's. This is the only factor which could explain the uniqueness and remarkable coherence of the Bible. Dozens of writers spanning a period of over 1500 years from Moses to John of such dissimilar traits and characteristics could never have achieved that unity as a result of human effort alone. Yet the unity is there, not as the product of numerous human minds, but of one mindthe mind of Godinteracting with, and directing, the grand sweep of biblical authors in many unlikely forms, but always in such a way that their own personal emotions, feelings, personality and individual writing styles were employed. God inspired the message, but it was conveyed through language and vocabulary that was peculiar and natural to each man. The Bible is thus a human vehicle through which God has chosen to convey His revelation to mankind. The Bible and the physical universe were designed in a similar fashion: they both work as the products of enormously complex interactions resulting in a wondrously purposeful product. The similarity between the Bible and the universe is, of course, to be expected since the same creator designed them both. The Bible is thus not a simplistic, deterministic catechism of childish declarative statements. Rather it is a living record of complex interactions, actions and reactions, stimuli and responses, mistakes and miracles, successes and failures. There is a paradox in true biblical understanding. In order to properly understand any specific biblical doctrine, it is first necessary to comprehend the entirety of all biblical doctrines; and, of course, it is impossible to comprehend the entirety of all biblical doctrines until one understands all the specific biblical doctrines separately. Seldom can one biblical teaching be fully understood in isolation. There is an essential interdependence between nearly all biblical doctrines. Each must be understood in light of all the others. The reason for this is the inherent unity of the biblical focus and the coherent thread of its message. Proper biblical understanding must be achieved by visualizing and comprehending the full sweeping scope of its message that only the whole Bible can project. In this regard, the Bible functions more like a living brain than a computer. In a computer, each "bit" of data is stored in only one location, while in a brain, the same "bit" is usually stored in numerous different locations, though in slightly differing forms and associations. In the Bible (like the brain), all teachings on any individual subjectfor example, honesty, marital fidelity, salvation, the Sabbath, the millenniumare not limited to just one location and not discussed in any other location. Just the opposite is in fact true: The Bible discusses many subjects within the same chapters and even within the same verses, while each subject may be discussed throughout numerous books and dozens of verses. So here again is the paradox: How can we comprehend the Bible if we must understand all the doctrines before we can understand any one, and we cannot understand all the doctrines until we understand the sum total of each individual one? The only solution to the paradox is through the leading of God's Holy Spirit and by diligent, dedicated Bible study. The Bible is indeed the full expression of God's mind and purpose for humanity. One of the ways to begin to comprehend the unifying flow of the whole Bible is to follow its primary themes all the way through. Of all these, surely the most consistent, decisive and relevant is Jesus Christ. He, in essence, is the focal point of the entire Bible. He is the personality around whom everything revolves. Jesus Christ was the Creator of all things (Col. 1:16); the God of Abraham, Isaac and Jacob; the Rock of Israel as Messiah (Gen. 31:53; 2 Sam 23:3) and Lawgiver (Isa. 33:22), and exemplified throughout the New Testament as Savior and King. He is the Redeemer of all mankind, the supreme Lawgiver and consummate Teacher. He was the firstborn from the dead and is the Captain of our salvation, our constant intercessor and merciful High Priest. Jesus Christ is now the active head of God's Church and is prophesied throughout the entire Bible to return to earth as King of kings and Lord of lords to set up. the Kingdom of God for all eternity. Perhaps one of the most basic statements of how God has revealed Himself to man is found in Hebrews 1:1-2: "In many and various ways God spoke of old to our fathers by the prophets; but in these last days He has spoken to us by a Son." This passage evinces several important things about God's communication to man. First, God's message comes in many various forms. Second, that message is also mediated by human beings. This means that the divine Word comes to us in a human vehicle. Even Jesus Christ, the divine Son, was Himself in the flesh when He gave many of His teachings; furthermore, those teachings were not written down by Him but by His human followers. Some further points are important to understand in setting the stage for proper biblical understanding. Third, no human vehicle is fully adequate to convey the fullness of God's message. Human language is inadequate to express what can be discerned in its complete spiritual sense only by means of the Holy Spirit. There is also the problem of transmission of the text; this is done by human beings and subject to human error. The problem of understanding ancient languages which have changed structure and meaning through the ages or have even ceased to be used as a living form of communication adds a further difficulty. Fourth, the message of the Bible must speak to all people in every age. Yet society changes, culture modifies, and each Christian finds himself living in a particular situation which does not exactly fit that of the original writers of the Bible. Christians do not live in the Old Testament theocracy of ancient Israel with autonomous control of a particular territory. Nor do they live in the New Testament world of Greco-Roman culture. Rather, Christians have lived in radically different environments down through the centuries, from Cologne in the Middle Ages to London in the 17th century to Los Angeles in the nuclear age. Therefore, there is always a certain "communication or generation gap" between the written word and the later reader. Fifth. God has deliberately hidden much of His important truth from mankind so that the full progression, and eventually resolution, of human history would proceed according to God's timetable. As a result it is not man's fault that he doesn't understand the Bible. Even the prophets of old didn't always grasp the meaning of their own biblical statements (e.g. Dan. 12:8); and they surely didn't comprehend the fullness of the mystery of the purpose of human life (Matt. 13:17; Eph.3:4-5). Jesus Himself spoke in parables so that the common people would not understand what He was saying (Matt. 13:10-11); He was teaching His disciples not the masses (v. 10-1 7), since God's plan did not yet call for the vast majority of people to be called and converted. 1. The essential truths God wishes to convey will be intelligible to any normal person with even below average intelligence and education (if God has chosen to open his mind). They can be discerned from any basic version or translation of the Bible which the reader understands. This must be true regardless of textual revision and/or poor translation. 2. God must open a person's mind in order for him or her to understand the fullness of His truth. It is, of course, possible for human beings to learn many aspects of the Bible on their own, utilizing the mechanisms of intellect and the tools of scholarship. Yet God has so designed the Bible and the human mind that even with the most intense effort men cannot fully grasp the profound spiritual depth of the scriptures without the active involvement of the Spirit of God. The mind of man cannot understand the things of Godthe mysteries of Godwithout the supernatural help from the Spirit of God (I Cor. 2:7-11). Since human language is always inadequate to break through the boundaries of spiritual reality and truth, a perceptive spiritual understanding of the Bible requires the direct intervention and action of the Holy Spirit "bearing witness with our spirit" (Rom. 8:16), thereby effecting a change in the mind of the individual. Only God can make this decision to open our minds through His Spirit. It makes no difference how vehemently a human being desires to understand the Bible, nor how hard he studies it. Though such study will produce much knowledge, this knowledge will remain physically oriented and bound, forever missing the vital key of spiritual enlightenment; Paul wrote, "So it depends not upon man's will or exertion, but upon God's mercy" (Rom. 9:16); so it is with true biblical understanding. Faith, as well, is a critical factor in achieving the spiritual comprehension necessary to understand the Bible. One must be convinced beyond the scope of the experimentally controlled and repeatable data demanded by scientists as verified "proof," that God exists and that the Bible is His inspired Word. The faith for such an absolute belief can come only through God's Holy Spirit. 3. The message of the Bible is theological. The Bible is not a history or science text. Its purpose is not to dictate on matters of art, technology, personal taste or the vast world of knowledge which man is capable of discovering for himself via the precious gift of man's God-given mental capacities. The Bible rather gives those essential theological and religious truths which man could not find out for himself through the academic disciplines. 4. The Bible contains various types of literature, each of which must be understood on its own terms. 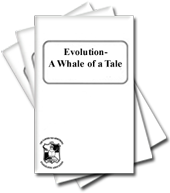 It contains history, poetry, parable, metaphor and symbolic revelation. It is often a record of those things which it elsewhere condemns, such as false opinions, lies, misunderstandings, deceptions and heinous sins of every type. This leads to the next point. 5. The biblical message is gained from the Bible as a whole, not from reading a verse or two in isolation or otherwise "proof-texting". What may seem to be a blanket statement in one passage can be greatly qualified elsewhere. The picture given by one book may be somewhat altered in the light of the teachings in another. One must perceive and comprehend the full spectrum of biblical doctrine in general in order to properly understand almost any specific element in particular. 6. The resources of modem scholarship, properly handled, can add insight, detail and historical color to the basic biblical message. God has designed the Bible so that the essential message of God must be clear to any Spirit-led person seeking humbly to learn the plan of salvation as expressed in His Word. Indeed an uneducated Christian reading an inadequate translation will be able to understand the fundamental doctrines necessary for salvation. Nonetheless, a technical understanding of ancient languages, literature, history, society and other information put at our disposal by contemporary scholarship will enhance a person's total understanding of the Bible. The various books of the Bible were not written in a vacuum. To achieve a deeper understanding of their teachings, one must strive to grow in the knowledge of the history and background of the Bible, and the cultures in which they arose. Thus a Christian may add scholarly knowledge which can come only from God. This physical data will in turn embellish and enhance his spiritual understanding. 7. Because of changed situations and society, there has to be some institution to clarify the meaning of the Bible for the Christian in the particular age in which he lives (Acts 8:31). Recognizing this need, Jesus Christ established and sustains His Church, to which He has given the responsibility to determine how to apply the Bible in particular situations in which the various individual Christians would not necessarily be unified. Even though the Bible always stands at the foundation of Christian belief, the Church can still come to decisions under the guidance of the Holy Spirit which were not specified in the pages of the Bible itself. For example, just as Moses modified the statutes and judgments of Israel for use in an agrarian society. and just as Paul made decisions that he did not learn from the Lord (e.g.. I Cor. 7:12), so the Church today must render judgments based on biblical laws and principles in order to keep itself relevant and vital in our modern age. The essential element here is unity of the believers and coherence of the Church. Members of the Church must have a common body of beliefs, traditions, customs, practices and procedures in order to remain united. And this unity is vital if a collective work is to be done. A Christian in isolation will have to render his own judgments, and two such Christians will not always agree. But if we must have fellowship together (which God says we need for our spiritual development), if we must be in the same Church together (which God states is critical for our spiritual sustenance), and if we must accomplish a major work together (which is our collective, God-given commission), then God's government must be authorized to finalize doctrine, discern interpretations, administrate decisions, etc. And God's government can be established only by and through God's Church. In summary, Christians should study the Bible diligently, respect it as the Word of God and seek its guidance through the inspiration of the Holy Spirit (John. 14:26; 16:13) and the teachings of the Church. In order to become like God, we must seek to understand the Bible, which is the clearest expression of the mind of God. This we can only hope to achieve through profound and regular Bible study, and through the internalized implementation of its precepts and values. Thus, God's Word is a totally unique collection of writings absolutely profound in every sense, making commonly available to all mankind the words of lifethe hope for today and the promise of tomorrow. It is man's responsibility and privilege to seek out the incredible depths and riches of God's mind as revealed in His Word. 2 Timothy 3:16-17 and 2 Peter 1:20-21 - The Bible is the inspired book of our maker. 1 Corinthians. 2:7-11 -To fully understand the Word of God, one needs the Holy Spirit. 2 Timothy 3:16 - All scripture is given by the inspiration of God. Psalm 12:6 and Proverbs 30:5 - The words of God are pure words. 2 Peter 1:20 - No prophecy of scripture is of any private interpretation. Daniel 11 - The historical accuracy of Daniel chapter 11 proves the inspiration of the Bible. Job 26:7 and Isaiah 40:22 - These verses prove scientifically the inspiration of the Bible. How could these men have known these scientific truths before telescopes? Matthew 24:15 & Acts 2:16 - The New Testament uses the Old Testament as authority sources in many verses. Colossians 1:1-16 - It was Jesus Christ who created all things. Hebrews 1:1-2 - Learn how it is God who communicates with us. Romans 8:16 - The Spirit of God beareth witness with our spirit, that we are the children of God. 1. The Bible is divinely inspired. True or False? 2. The Bible consists of both the ___Testament and the ___ Testament. 4. The Bible is the handbook for the Salvation Process. Yes or No? 5. The Bible contains information man could not find on his own. True or False? 6. The Church of God believes the Bible to be divinely inspired. True or False? 7. The New Testament gives credibility to the Old Testament. True or False? 8. Can the Bible be proved to be the Word of God? Yes or No? 10. The Bible records fulfilled prophecy. True or False? 15. God must open one's mind in order for him to understand the fullness of His truth. True or False? 17. We cannot open our own minds. Only God can open the human mind to understand spiritual things. True or False? 18. Proof-texting is a good method of studying and understanding the Bible. True or False? 19. A Bible doctrine can easily be fully understood in isolation from the rest of the Bible? True or False?